There is a myriad of ways to improve the quality of your posts and bring more to the game, but perhaps the most important of all is writing well on a mechanical level. This doesn’t mean that each post needs to display a Master’s level command of language, not by a longshot, but even the most intriguing story can jar the reader from the narrative if it’s full of spelling errors and sloppy grammar. What makes sense when you’re writing, caught up in the idea or the heat of taking your next combat action, may not be as coherent as it felt when you were getting it out. Re-read your post to see if it makes sense. Feel the flow of it as you read it. Check the spacing to make sure you’re not throwing up a brick wall of text that becomes tedious to read. The more substantial the post, the better effect spaces between your paragraphs are likely to have. Few things are more infuriating than typing up a perfectly framed post, only to lose the entire thing as the website crashes, the post window times out, or a simple mistake that ends up deleting everything. Not only is it a waste of time and effort, but the follow-up post is almost never as good as the original the enthusiasm dampened by the mishap. The best technique to avoid such disaster is to type your post up in a word processing program, notepad or another such medium, then copy and paste it into the message board posting window when ready. In fact, it may even be a good idea to save before copying, ensuring that should something happen, you can pull up the contents of your post again if needed. Most message boards feature a “preview post” option that allows you to see what your post will look like once posted. I definitely recommend it. Seeing the spacing and layout of the post might show you something you missed. Avoid walls of text. Don’t make a post that makes anyone reading it groan upon first seeing it. Not only is a solid wall of text extremely unappealing, but it’s easy for anyone reading it to lose some of the information within as their eyes glaze over. Make use of the Out of Character thread. Regularly breaking the flow of the narrative to ask questions, comment on another post, or bring up unrelated topics can derail the game. Try to keep out of character comments in the Gameplay thread to a minimum. Just as important as the in-game interaction, the “behind the curtain” interactions of players and GM and a core element of a successful game and fulfilling PBP experience. 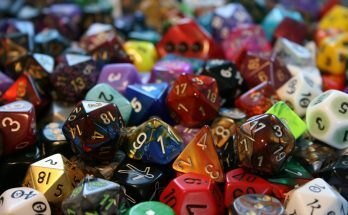 RPG gaming is an inherently social activity, and PBP should be no different. Granted that you may never meet your fellow players in person, and may not even be on the same continent as some of them, but the socially interactive experience is still a shared one. I’ve seen games where individuals formed bonds of friendship that exceeded many in-person connections, resulting in some of the most in-depth gaming experiences possible. I’ve also seen games die because the players and GM never connected in any meaningful way, leading to a lack of communication that made things fall apart. With a little effort, you can easily do your part to ensure your game ends up as one of the former. Ever had a fellow player make the perfect roll just when it was needed most? Did you witness a critical hit, or vital save that made the difference between the party getting butchered and saving the day? Say something. A quick comment in the OOC thread “Nice shot!” or “Whew, way to go!” goes a long way. Everyone enjoys validation. A “Brilliant Idea” when the wizard comes up with a creative use for an underestimated spell will not go unappreciated by your fellow player. Someone make you laugh? Say so. A quick “lol” boosts the friendly cheerful feel of the social interaction that’s easy to generate at the gaming table, but a little more difficult online. Everyone has their own degree of what they consider private, but if you have something going on that might affect your ability to past, say so. Let your GM and fellow players know if you’re going to be out of town. Ask the GM to roll in your place, or let another player you trust take the reins for a bit if you’ll be unavailable and don’t want to slow things down. Offer to do the same if one of the other players needs to step away for a bit. GM’s have a ton of work to do to keep a game running, so if players can cover for each other and build that bond of trust, it can really lighten their load. Exchange emails; make use of message board private messaging or social media. Things happen, sometimes a player may lose track of a game or have something going on. Sometimes the GM may suddenly vanish for a day or two for an unavoidable reason. Communicating with each other using other means, or just having a way to check in on a fellow player, both keep things from losing momentum and reinforces the bond of friendship between players, resulting in a better game. Getting to know your fellow players will only enhance the overall experience, trust me.